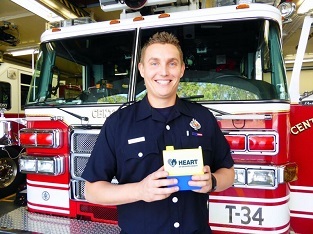 "I couldn't have done this without HEART"
Travis B. grew up in Burlingame and is now working for the Central Fire Department of Millbrae, Burlingame and Hillsborough. He just bought his first home in September, a condo in the City of San Mateo, using the HEART down payment program and Meriwest Mortgage! Michael H. and his wife Kristen grew up and work in the San Mateo County. When their first son James was born they needed more space and the stability of consistent monthly payments. They had no idea how to get into a market where the median home is $1.2M. 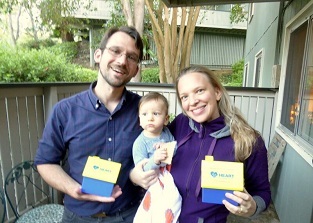 After attending a HEART workshop, they realized they could compete and are now owners of a beautiful 2 bedroom condo in San Bruno. Click here to Watch a full(1 Hour) presentation about how HEART can help 1st time home buyers purchase the home of their dreams. HEART's Mission: Meet critical housing needs in San Mateo County by raising both public and private funds. HEART's Vision: San Mateo County has the ability to offer housing that is attainable by all. 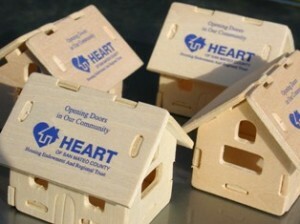 HEART's Goals: Support construction of 400-500 new affordable homes in the San Mateo County each year. Meriwest Mortgage is a wholly-owned subsidiary of Meriwest Credit Union. Meriwest Mortgage, LLC is licensed in California by the Department of Business Oversight, License #4150034, pursuant to Financial Code Section 50121 and 50130(f) of the California Residential Mortgage Lending Act and in Arizona by the Arizona Banking Department, License #BK0904975. Check Today's Mortgage rates for California and Arizona. Access Meriwest Credit Union's Website. Check out Meriwest Credit Union's Home Equity Loans!